what do you really want your life to look and feel like in 2014? The end of one cycle is coming to a close and a new cycle, 2014, is beginning in just a few hours. Can you feel or sense anticipation of what is coming next? Have you taken even a few moments to look back at where you were and who you were during 2013? What would it feel like and be like for you to create a breakthrough to really dissolve the biggest obstacle or most pressing concern in your life or work right now? I’d really love to help YOU create a breakthrough so you can have an amazing NEW YEAR for yourself, your life and work. As my gift to you, I’m offering you a complimentary Let’s Create a Breakthrough for YOU for 2014 Strategy Session – at no cost to you, it’s my treat! The value of this 40-minute strategy session is $497. To get your complimentary, private Breakthrough Strategy Session with me, just click on the reply button and answer all of the questions as fully and completely as you can. Answering these questions, even if you choose not to apply for one of these 10 complimentary Breakthrough Sessions, will help you get really clear about where you are and where you want to be in 2014. Answering all eight (8) questions is the 1st and most important step in creating your breakthrough so let’s get you started!!! Question #1 – What is your name and tell me a little bit about WHY you want to create a breakthrough that lasts. Question #2 – When it comes to transforming your dreams, raising your vibration and your wealth frequency, what are your biggest challenges or most pressing concerns? Question #3 – On a scale of 1 – 10 (10 being the highest), how important is it for you to get these solved ….. Question #4 – Why is it important for you to solve, eliminate and dissolve these obstacles or concerns? Question #5 – What is the #1 obstacle that has kept you from solving these challenges? Question #6 – Where would you like to be in 6 months? Question #7 – Where would you like to be in 12 months? Remember, to get your private Breakthrough Strategy Session with me, all you have to do is click the reply button, answer all eight (8) questions and then click send. You’ll receive a quick note from me letting you know I have received your confidential application. If you don’t receive an email from me confirming that your application has reached me within 48 hours, please take a few minutes to resend it right away! Can’t wait to help you create a breakthrough! PS. TODAY is the LAST DAY to APPLY!!! There are only a few spots left so if YOU want YOUR BREAKTHROUGH, please don’t wait one more minute because I really want to help you! Let’s start transforming YOUR DREAMS into REALITY right away!!! 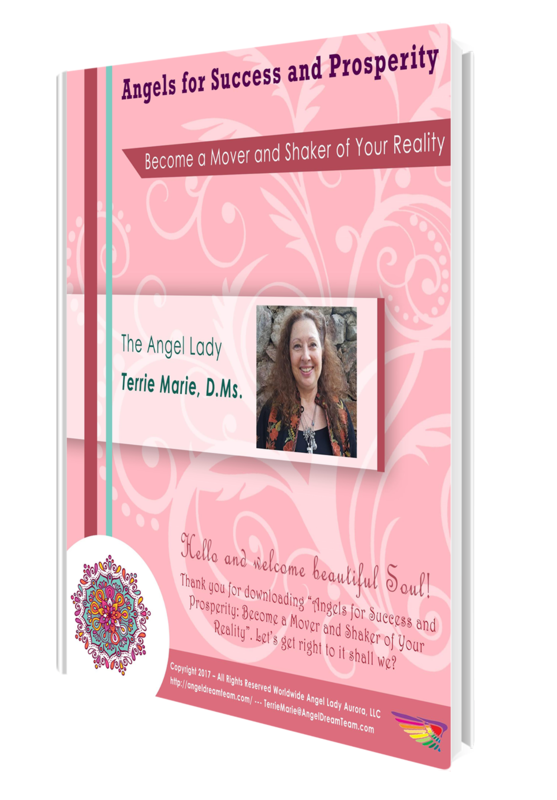 It’s Terrie Marie the Angel Lady with a quick reminder about this special opportunity to create that breakthrough you’ve wanted to have AND to talk with me personally! I’m opening up just 10 spots to get my personal help — in a Complimentary, free — no cost — 30-minute Let’s Create a Breakthrough for YOU for the NEW YEAR Strategy Session. The only thing is with only 10 spots open, these are going to filled very quickly, they always are! To be considered you’ll need to apply between now and Monday, December 30th. *Discovering what is unconsciously sabotaging you from transforming your dreams into reality. 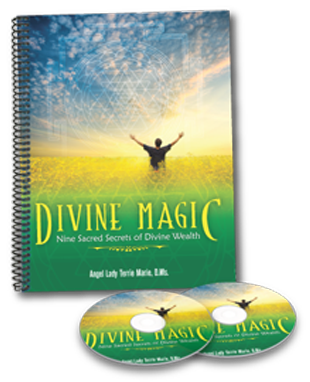 *Create a clear plan that describes in detail the steps you need to take to enhance the Law of Attraction and your manifesting power! *The 1 simple step you can take immediately to get into action. All you have to do is click on the “reply” button and answer these simple questions. IMPORTANT: You must answer ALL the questions to be eligible for this gift Let’s Create a Breakthrough for YOU for the NEW YEAR Strategy Session, a $497 value. Any applications received with missing information will be deleted. *What is your name and tell me a little bit about why you want to create a breakthrough that lasts. *When it comes transforming your dreams, raising your vibration and your wealth frequency, what are your biggest challenges? *On a scale of 1 – 10 (10 being the highest), how important is it for you to get these solved ….. and why? *What is the #1 obstacle that has kept you from solving these challenges? *Where would you like to be in 6 months? 12 months? Remember to take advantage of this Complimentary Let’s Create a Breakthrough for YOU for the NEW YEAR Strategy Session opportunity, simply send your reply directly to TerrieMarie@AngelLadyInnerSpirit.com with the questions above answers. We’ll let you know if you get one of these complimentary Discovery Sessions! PS. Remember there are only 10 spots open, you must apply by Monday, December 30th to be considered. Let’s work together because I really want to help you discover what is unconsciously sabotaging you from transforming your dreams into your reality so let’s get your application in right now! Let’s Create a Breakthrough for YOU for the NEW YEAR! The end of the year is nearly here! Don’t know about you, but, this is the perfect time to create a lasting breakthrough to start the NEW YEAR differently, a breakthrough that lasts! It’s Terrie Marie the Angel Lady and I’m opening up just 10 spots to get my personal help — in a Complimentary, no cost — FREE — 30-minute Let’s Create a Breakthrough for YOU for the NEW YEAR Strategy Session. *The 1 simple step you can take right away to get into action. IMPORTANT: You must answer ALL the questions to be eligible for this gift Empower Your Brilliance Breakthrough Strategy Session, a $497 value. Remember to take advantage of this Complimentary Let’s Create a Breakthrough for YOU for the NEW YEAR Strategy Session opportunity, simply send your reply directly to TerrieMarie@AngelLadyInnerSpirit.com with the questions above answers. We’ll let you know if you get one of these FREE Strategy Sessions!